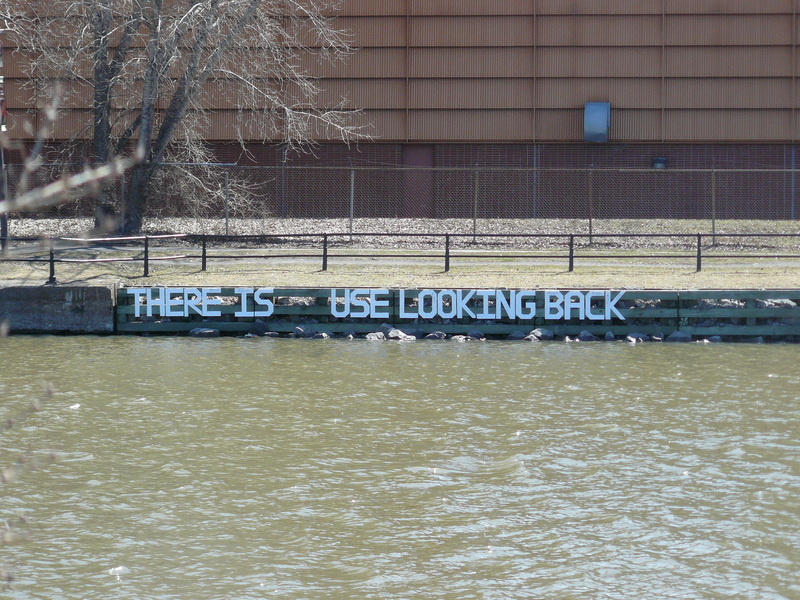 There Is Use Looking Back | Save Griffintown! My friend Alanah Heffez posted at SpacingMontreal.ca about architecture firm Cardinal Hardy’s concept for the Seville Residences project, proposed for the north side of Sainte-Catherine Street near Atwater by the Bronfman-controlled Claridge Properties. It’s named after the former Seville Theatre, a purpose-built movie theatre from 1929 with additional street-front retail spaces; in the 1940s, it hosted live acts including Frank Sinatra, Sammy Davis Jr., Nat King Cole and Tony Bennett. Reverting to a repertory movie house, the building slowly decayed over the 70s and 80s until it was shuttered as unsafe. Part of an outside wall collapsed in 1994; its historic interiors were gutted for a never-realized redevelopment project. Now, with the heritage façade deemed unpreservable, it’s set to be demolished. According to the Cardinal Hardy plan, the theatre would be recalled as a visual echo in the new building…as a symbolic corner of yellow brick. The SpacingMontreal article raises the question of façadism — the process of integrating heritage façades, typically the only portion of a building protected by a heritage designation, into new construction. She compares it to the retro-revival quest for authenticity among urban hipsters. I’m not sure I agree with that particular premise, because today’s architects seem to incorporate heritage elements only grudgingly, or when forced to by heritage preservation laws. Occasionally, the results can be quite good, like the World Trade Centre in Old Montreal, which cleverly recycled an alleyway into a soaring atrium, used classical details inside, and largely matched new interiors to old exteriors. Sadly, the norm seems to be things like the mismatched 3-floor / 5-floor chimera of the Montreal Museum of Fine Arts (with those infuriating, hobbling stairs); bluntly unfinished-looking black cinderblock boxes like the Hotel Opus, divorced from its Art Nouveau front on St-Laurent; and the unimaginative incorporation of Edwardian white-tile apartments to the tutti-frutti cubes of the Webster Library at Concordia. In all three cases, the architects paid no attention to the scale, rhythm, textures, or idioms of the preserved heritage elements. No-one can really argue that the rejuvenation of this strip of Sainte Catherine Street isn’t vital to boosting downtown, nor that the creation of more rental apartments will help ease pressure on a market that has seen too many properties converted to condos. What I’m more skeptical about is what they’re planning to build on that block — if it’s anything like the mockup shown in the SpacingMontreal post, it’s yet another bland, postmodern set of cereal boxes with ‘interesting’ window lines. This, to be sited next to the clownish spectacle of the AMC Forum, does not bode well. Does a corner of yellow brick do the memory of a minor architectural gem any service? The Seville, which my parents used to attend frequently during its years as a repertory cinema, was a place which inspired attention and imagination. I’m worried that what’s planned will induce a state of torpor instead. If the city really wants to honor the memories of M. Cajetan Dufort (architect) and Emmanuel Briffa (interiors), why couldn’t they insist that whatever gets built must be both future-focused, yet respectful of the neighborhood’s pre-war (as they say in NYC) architectural heritage? In short, why not build a 1929-esque building that’s up to LEED standards? There is absolutely nothing on a technological level preventing today’s architects and builders from doing just that. I worry, however, that they’ve lost touch with basic architectural vocabulary. For instance,the new condo building that went up on the site of the old Unitarian church on Sherbrooke Street mimics the forms of its neighbors, but its proportions are all slightly off. The entrance portico seems like a Canadian Tire version of neoclassical; like nearly all new buildings, the windowsills (and hence, the implied thickness of the walls) are a bit too shallow; it appears to be clad in white styrofoam and tack-on MDF crown molding, as opposed to limestone and brick. Overall it’s a lot better than we might have expected — thank the gods it’s not another Port Royal — and it’s a bit of a novelty to see old forms pop up downtown again, but I can’t help wishing they had paid a little more attention to detail; that it had more of the sense of permanence as the Acadia or the Linton. Whatever gets built on Sainte-Catherine Street, our main artery, ought to really feel of Montreal — new, yet familiar — and drawing on its neighbors for inspiration would be a welcome change.